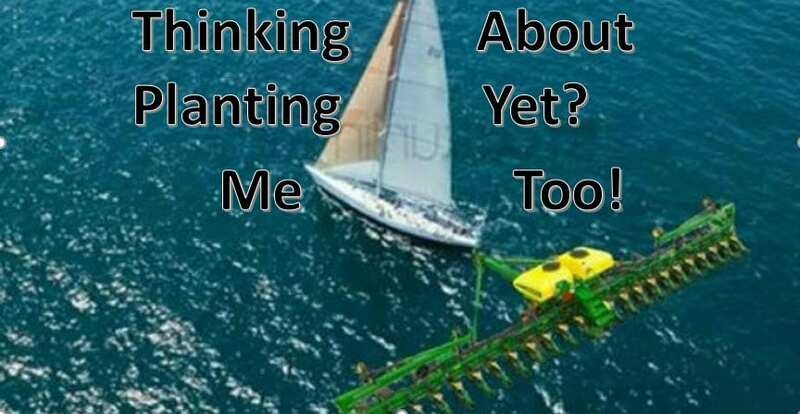 Mechanical control methods include mowing, which requires repeated mowings per season for several years, and excavating, which involves pulling individual plants from the soil with heavy equipment, can be costly, time-consuming and laborious. However, these are viable means for multiflora rose management. Also, management techniques which includebiological controls have been used. Two of the more prominent biocontrol agents are rose rosette disease (RRD) and herbivores such as goats or sheep. RRD is a virus which is slowly spreading in our region of the country. Multiflora rose plants infected with RRD usually die within two years. Though RRD may not eradicate the multiflora rose problem, it should help reduce it over the long run. 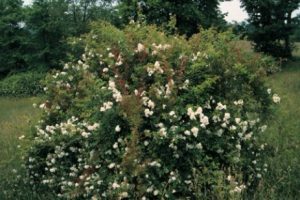 If managed properly, goats and sheep can help control multiflora rose. Research has shown that initially 8 to 10 goats and/or sheep pastured with compatible livestock (cattle) can help reduce rose and other brushy infestations. Although the above control practices help, several herbicides provide good control of multiflora rose, especially when applied during the bud to bloom growth stages. Glyphosate has been more effective in Penn State research at fall application time. Products like Milestone and ForeFront generally are not as effective on multiflora rose; while 2,4-D and dicamba (Banvel/Clarity) are not effective. Metsulfuron (sold as a generic or as Cimarron Plus) provides good control of multiflora rose and can be used as a broadcast or spot treatment. For best control apply either product at a rate of 1 oz/A plus a surfactant for broadcast treatments or 1.0 oz/100 gallons water plus surfactant for spot treatments. Applications should be made in the spring, soon after plants are fully leafed-out. Rose plants must be less than 3 feet tall for treatment to be effective. There is no application to grazing interval for metsulfuron. Foliar applications of Crossbow can be effective on multiflora rose. For spot treatments, use 4 to 6 fl oz/3 gallons water and spray until foliage is uniformly wet. For broadcast applications, use 1.5 to 4 gallons of Crossbow in enough water to deliver 10 to 30 gallons of spray per acre. Early to mid-June is an excellent time to make these applications. Follow-up treatments may be necessary. An interval of 14 days is required for lactating dairy if using 2 gallons/A or less. Glyphosate can be used as spot treatments on isolated patches of multiflora rose. Apply a 1 percent solution (about 1 qt/25 gallons water) of glyphosate with a hand-held sprayer. Uniformly wet leaves and green stems, but avoid runoff. Application should be made in late summer or early fall when plants are actively growing (after fruit formation). A 7-day interval is required for grazing animals. No matter which control tactic is used, follow-up maintenance practices are a must for long-term control. Removal of dead brush, annual mowing and adequate soil fertility are examples of practices that should be used to maintain control of multiflora rose and in turn, will encourage pasture growth. For more information on multiflora rose and its management refer to the publication Multiflora Rose Management in Grass Pastures. Posted by Sabrina at 11:38am June 14, 2018 Posted in Forage, Pasture. Bookmark the permalink.